The relationship between humans and dogs dates back to 30,000 years ago when wolves, ­the ancestors of modern day’s domesticated dogs, were first tamed by the ancient hunter-gatherers in Ice Age Europe. But despite this lengthy period of familiarization, there are still plenty of facts about man’s best friend you may not be aware of. 5. Dog Urine Can Corrode Metals. 6. 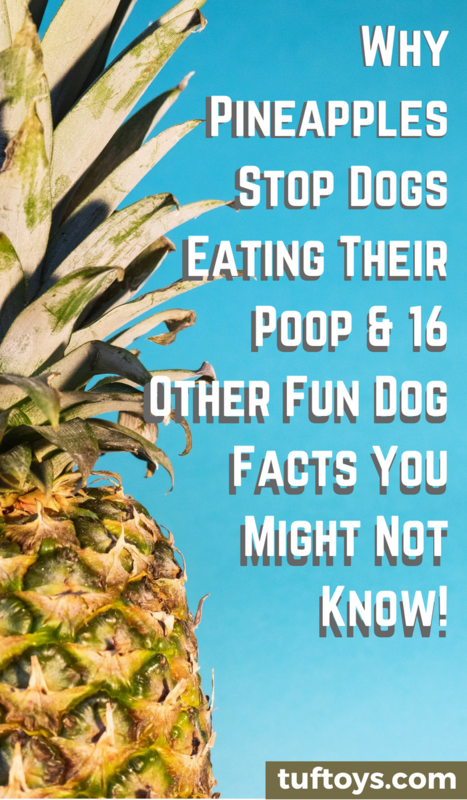 Eating Pineapple Stops Dogs From Eating Their Own Poop. 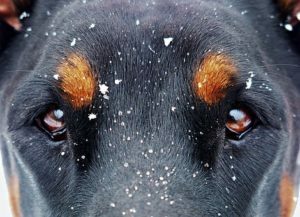 It isn’t true that dogs see only in black and white. They’re capable of seeing colors, but not as clearly as humans. That’s because they only have two color sensitive cone cells in their retina compared to humans who have three. This means they can only detect colors on a blue and yellow scale but are unable to tell the difference between red and green objects. TufToys selects the most appropriate colors for its toys based on this difference- so bear this in mind when choosing the right toy. However, dogs have better vision at night than human beings. As a pet owner, you’ve probably seen your pet make a “guilty face” after doing something wrong like chewing up your favorite pair of shoes. But according to researchers from Cambridge University when dogs display contrite behavior it’s not because of shame; they’re simply responding to your angry or dominant body language. 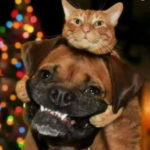 Dogs love their share of the attention, food, and other goodies you give them, but according to a recent study done at the University of California San Diego, they’re also capable of turning into green-eyed monsters when affection is turned to other creatures. The study which used 3 objects a book, a plastic jack-o-lantern and a stuffed dog showed that the dog didn’t mind it when humans focused on the first two. However, he started displaying weird behavior like trying to get in between them, barking and biting when the human paid attention to the fake dog. Dog noses are amazingly sensitive and quite complex, which makes them exceptional at detecting bombs, drugs, and even animal poop. 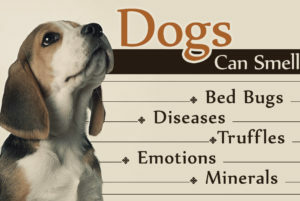 However, it’s also been proven that man’s best friend can detect various diseases including cancer and diabetes. It is thought that Diabetic alert dogs (DADs), for example, are able to smell a volatile chemical compound released by a diabetic’s the body, although the exact compound hasn’t been singled out. Researchers at Manchester University hope to use dogs’ 300 million smell receptors to help sniff out the Parkinson disease years before symptoms appear on the sufferer. The next time your dog pees on a lamppost you should pay closer attention. 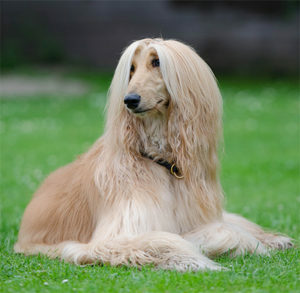 Apparently, dog’s urine is so acidic that it has been blamed for the destruction of lamp posts in Derbyshire, England. So much so that in 2003 the Derbyshire county council spent £75,000 on a survey to check on 1 million lampposts believed to have been corroded by dog urine. 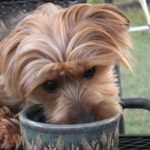 Eating poop, or coprophagia is often associated with enzyme deficiency in your dog. However, giving him a pineapple can help solve this problem. 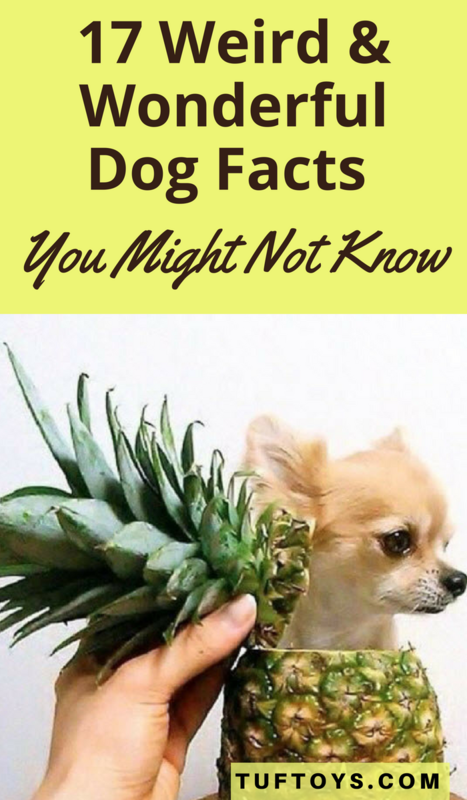 Pineapple contains a proteolytic enzyme – bromelain – which breaks down proteins aids digestion so your dog doesn’t have to eat his own poop. If your dog is acting weird, it’s probably because there’s a storm on the way. Many pet owners can attest to having seen a change in behavior from their dogs just before a mighty thunderclap, but few understand the reasons behind it. It’s simple science really. Prior to climate changes like an approaching hurricane there is usually a drop in barometric pressure and the shift in the static electric field which dogs are highly sensitive to. This is what they respond to, and just like you are able to smell approaching rain. 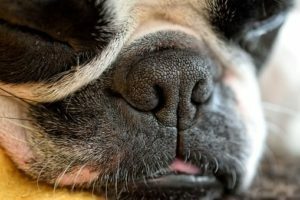 Dogs’ noses have a combination of creases and ridges that is so unique it can actually be used to prove their identity. 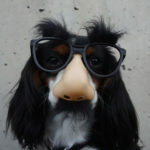 In fact, it is reported that the Canadian Kennel Club has been accepting dog nose prints as proof of identity since 1938. The only challenge would be how to get them to stick their nose on an ink pad without making one hell of a mess. A number of animal species are able to hear frequencies well beyond the human hearing range, and dogs are a good example. Their hearing range is usually around 67 Hz to 45 kHz. Apparently, dogs with block-shaped heads like Saint Bernards can hear subsonic sounds better than narrow-headed dogs like spaniels. Tiny dogs, like Chihuahuas, on the other hand, can hear sounds in higher ranges than big dogs. If you have always assumed that your dog wags his tail because he’s happy, think again. Tail wagging is a language on its own that you need to decipher to understand a dog’s mood. It turns out that dogs wag their tails to the right to show happiness, and to the left when they’re afraid. Wagging their tail low means they’re insecure, while wagging with rapid movements usually accompanied by dilated pupils and tense muscles is a sign of aggressive behavior. While a human’s normal body temperature is 37C, dogs have to tolerate higher temperatures that reach 38C – a whole degree more than that of humans. Unfortunately, canines only have sweat glands on the pads of their paws, unlike humans who have them all over their bodies. That’s why they have to stick their tongues out to cool their bodies. They really are hot dogs. Apart from being jealous, dogs can also fall in love. At least that’s what anthropologist Elizabeth Marshall Thomas, author of The Social Lives of Dogs, believes. 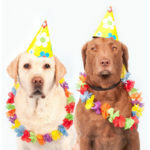 In her book she tells the story of two dogs – Sundog and Bean- who despite their great attraction for each other were kept apart by their respective owners, none of whom wanted to give them up. As outrageous as this sounds, Paul Zak, a professor at Claremont Graduate University in California, says the idea that dogs can fall in love has scientific backing. 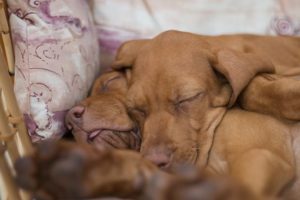 Evidently, a dog’s brain releases a love hormone called oxytocin when it interacts with humans and dogs, in the same way as human brains do when we hug or kiss. – they fold the underside of their tongues into little water cups. when peeing, he’s simply exercising his dominance. and Poodles, while Afghan Hounds and Basenjis are thought to be the least clever. Dogs are very affectionate and loyal animals, so I definitely believe that they are capable of falling in love with their mate. These are real issues if you’re gonna be a dog owner. Thanks for tackling this topic. Amazing, there is a lot to learn from dogs. I think it’s the best pet for man. Aww what a great post. I own a cocker Spaniel and she likes to destroy the things around, she always makes that face and I thought she was feeling guilty, before Reading this post. The fun facts are so true like dogs being jealous and not feeling guilty. I think my puppies display these two emotions and there are glaring enough. 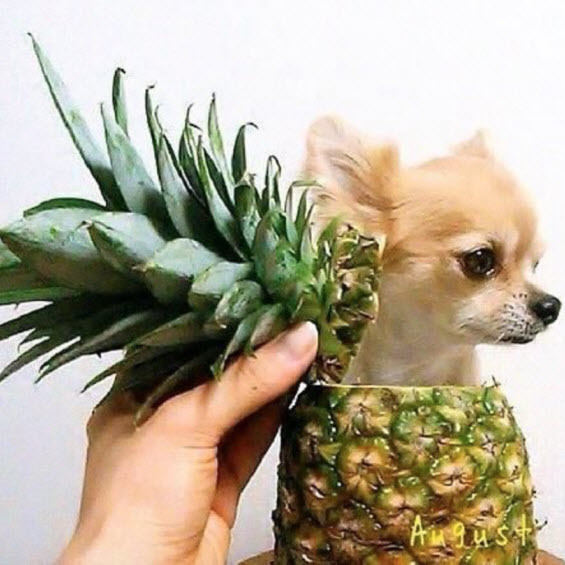 I do not know that pineapples has this effect on dogs. Definitely good stuff. I may apply it on my pet too. There’s certainly more to dogs than meets the eye. The fact that they can smell disease and predict the weather makes them superior to humans in many ways. 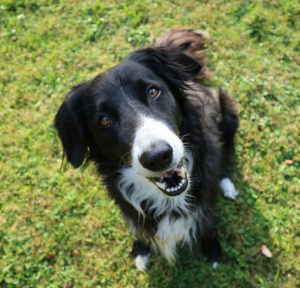 It makes sense to me that border collies are one of the smartest breeds. I once knew a border collie that was very sharp and lightning quick compared to other dogs. Just learned this new one that pineapples can stopped dogs from eating poop. I will try this method and I hope it will be helpful.